Think big! Something that should be obeyed by everyone in the world - What is the point in thinking at all if you are not going to think big? 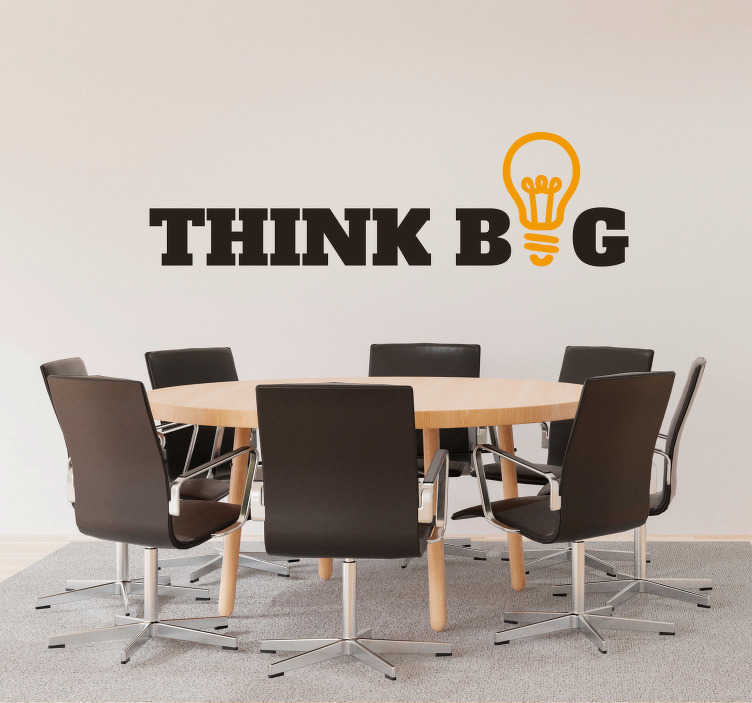 As such, it is also perfect office decor to add an extra motivational touch to any boardroom, but it would also be a fantastic text sticker for any part of your home! The colour of the text or light bulb can be changed on request, if you think something else would be more suitable.